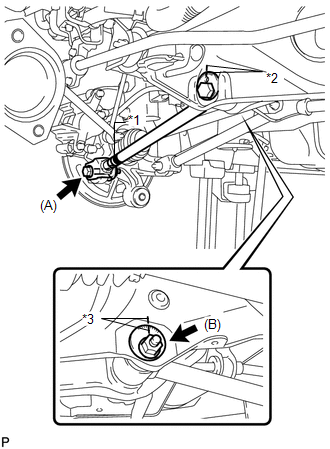 (a) Put matchmarks on the adjust cams and the rear suspension member sub-assembly. 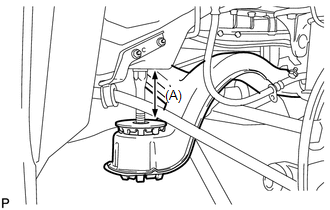 (b) Remove the bolt (A) and the nut, and separate the rear No. 2 suspension arm assembly LH from the rear axle carrier sub-assembly LH. (c) Remove the nut (B), the No. 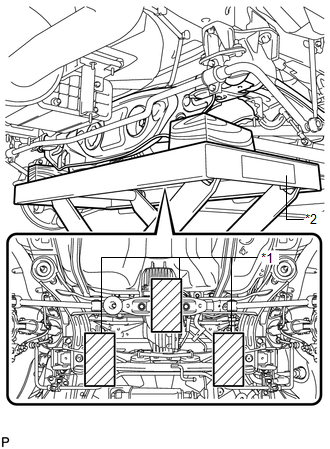 2 camber adjust cam, the rear suspension toe adjust cam sub-assembly, and the rear No. 2 suspension arm assembly LH. 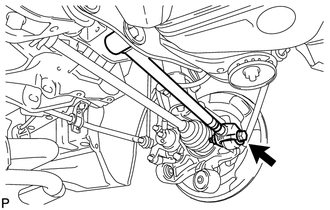 When removing the nut, keep the rear suspension toe adjust cam sub-assembly from rotating. 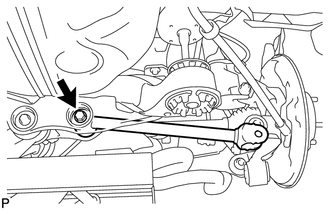 (a) Remove the bolt and the nut, and separate the rear No. 1 suspension arm assembly LH from the rear axle carrier sub-assembly LH. (a) Separate the 5 clips to remove the No. 1 floor under cover. Remove the No. 1 floor under cover with the 5 clips. 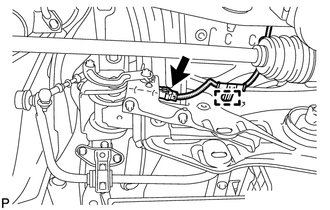 (a) Disengage the 2 clamps to separate the frame wire from the body. 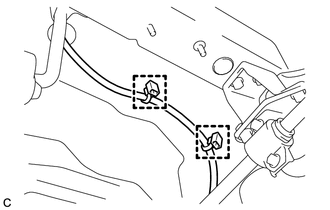 (a) Disconnect the connector and disengage the clamp to separate the No. 3 floor wire from the rear suspension member. 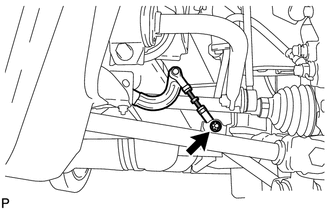 (c) Lower the rear suspension member to the point shown in the illustration. 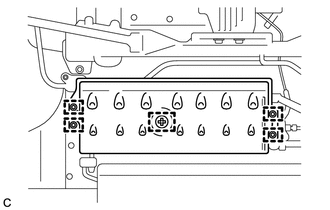 (a) Remove the bolt, the nut and the rear No. 1 suspension arm assembly LH from the rear suspension member.